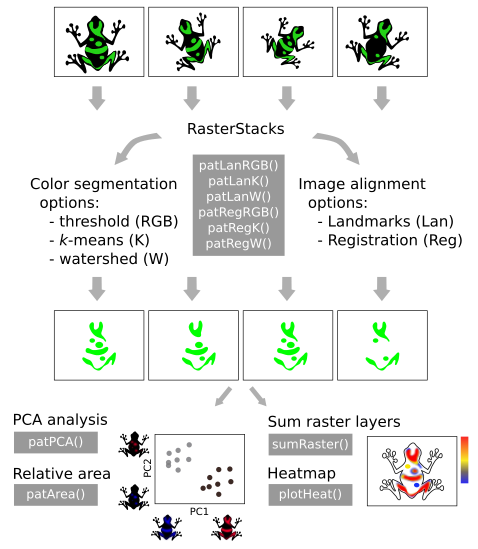 Quantification of variation in organismal color patterns as obtained from image data. 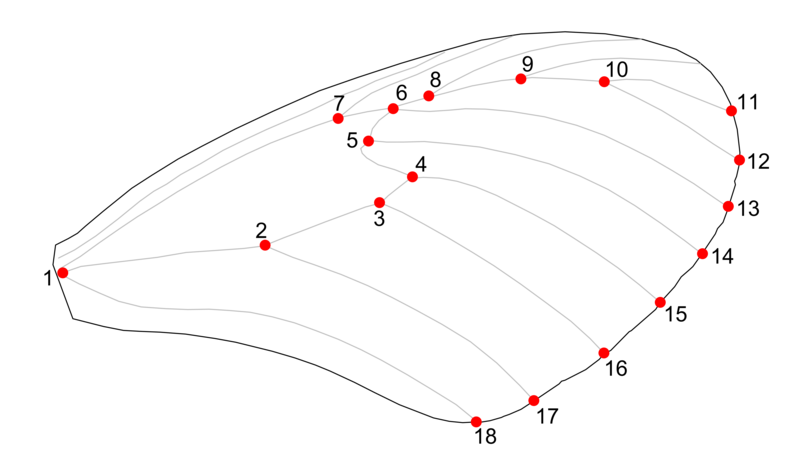 Patternize defines homology between pattern positions across images either through fixed landmarks or image registration. Pattern identification is performed by categorizing the distribution of colors using RGB thresholds or image segmentation. 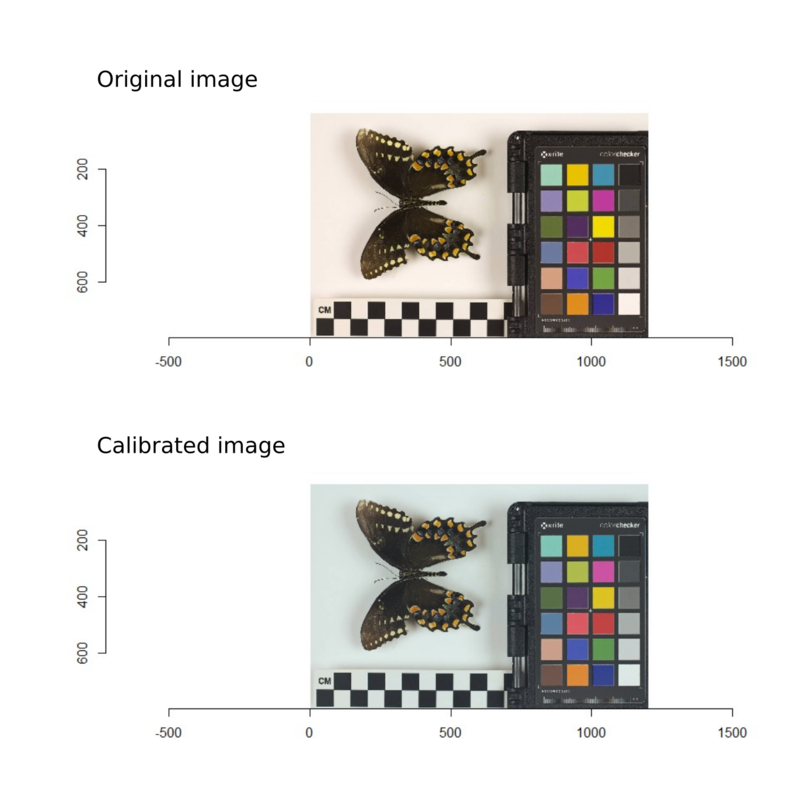 Quantifying variation in color patterns to study and compare the consistency of their expression necessitates the homologous alignment and color-based segmentation of images. Patternize is an R package that quantifies variation in color patterns as obtained from image data. Patternize defines homology between pattern positions across specimens either through fixed landmarks or image registration. Pattern identification is performed by categorizing the distribution of colors using either an RGB threshold or an unsupervised image segmentation. The quantification of the color patterns can be visualized as heat maps and compared between sets of samples. Please do not hesitate to contact me with any questions or suggestions! Some people have noted platform specific installation errors (mostly Mac). If you don't find your solution here, please contact me. To plot a cartoon of the organism or trait of interest I use XY coordinates of an outline or lines obtained in the Fiji distribution of ImageJ (https://fiji.sc/). This is an annoying manual task, but if done precisely it can provide an outline or cartoon for any type of shape. The cartoon should be drawn for the reference (target) image when using image registration (patRegRGB or patRegK) or when using landmark transformation to a target image (patLanRGB or patLanK; transformRef = 'sample_ID'). 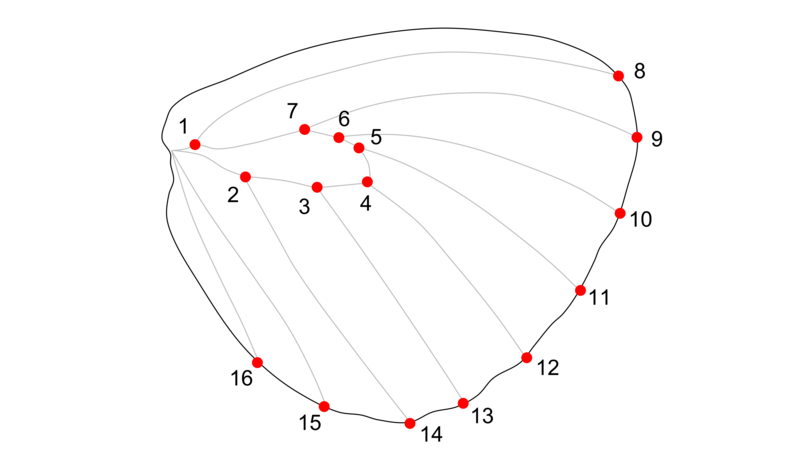 When using transformRef = 'meanshape', the cartoon will also be transformed to the mean shape. 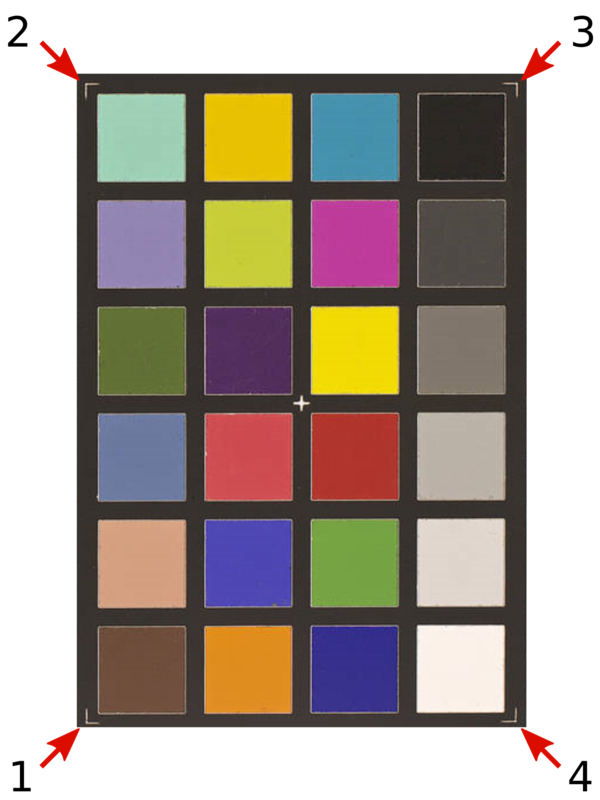 The ColorChecker (Macbeth ColorChecker) is a color calibration target consisting of a framed arrangement of 24 squares of painted samples. The chart patches are selected to mimic those of natural objects and to have consistent color appearance under a variety of lighting conditions. By including this chart in an image, it can be used to calibrate images taken in different lightning conditions.